Sherry Lee Mueller, Ph.D., Distinguished Practitioner in Residence at the School of International Service (SIS), American University, Washington, D.C., teaches an undergraduate course and a graduate Practicum entitled Cultural Diplomacy and International Exchange. In spring 2015, Professor Mueller served as the Higher Education Specialist for IBTCI on a bi-national team conducting a mid-term evaluation of a USAID-sponsored scholarship program for Indonesians. After serving as President of Global Ties U.S. (formerly NCIV) from 1996 to 2011, the NCIV Board of Directors named Sherry President Emeritus. Before NCIV, Sherry worked for the Institute of International Education (IIE) as Director, Professional Exchange Programs. 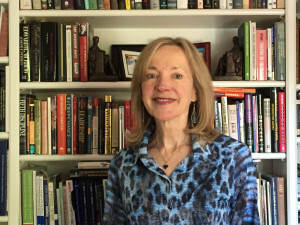 Prior to joining IIE, Ms. Mueller served as an Experiment in International Living Leader to the former Soviet Union, a Liaison Officer for the U.S. Department of State, and a lecturer at the University of Rhode Island. Ms. Mueller currently serves on the boards of PYXERA Global and the International Student House in Washington D.C. She is also a member of the SIS Dean’s Council. In May 2011, One To World presented Ms. Mueller with the Fulbright Award for Citizen Diplomacy for “lifelong contributions to global understanding and cooperation, one handshake at a time, in the Fulbright tradition.” This follows previous awards from SIS, U.S. Information Agency, and American University. Ms. Mueller has served as a speaker for the U.S. Department of State in Saudi Arabia, Japan, and Washington, D.C., giving lectures and conducting workshops on leadership development for nonprofit organizations. In 2014, Georgetown University Press published the second edition of the book Working World: Careers in International Education, Exchange, and Development that Ms. Mueller coauthored with Mark Overmann. Ms. Mueller earned her M.A.L.D. and Ph.D. from the Fletcher School of Law and Diplomacy. She is a native of northern Illinois.